The side effects of every day medications that are made to cure common ailments are not as simple as an upset stomach, fatigue or bloating, and a new study shows just how many pills have much more severe adverse effects. Over 200 prescription and over the counter medications known for treating ordinary conditions such as blood pressure, birth control, acid reflux, anxiety, anti-convulsants and some pain killers list depression or even suicide as a potential side effect, researchers announced Tuesday in the Journal of the American Medical Association. 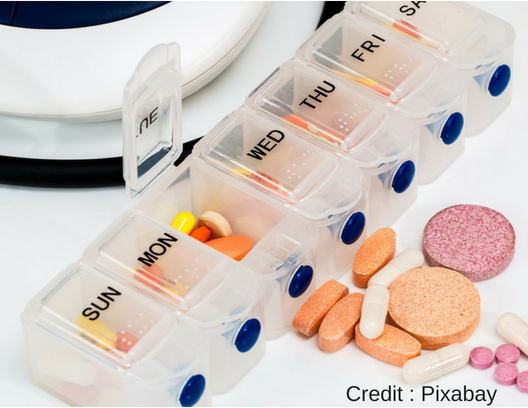 The study examined how over 26,000 people used the medications from 2005 to 2014, overseen by researchers at the University of Illinois, Chicago. Numbers showed more than one third of American adults use medications with the side effects that cause depression or increase the risk of suicide. This new information is considered troublesome because doctors and medical professionals may not have been aware of this previously when prescribing other medications that could also enhance these effects. The likelihood of experiencing these symptoms increased with the number of medications taken at one time, with those taking more than 3 medications or more described experiencing the depressing symptoms 15% more than those who do not take any of the listed drugs at a reported 5%. 7% of participants experienced the side effects when taking one of the medications, and those who took two together experienced the symptoms at a rate of 9%. “The takeaway message of this study is that polypharmacy can lead to depressive symptoms and that patients and health care providers need to be aware of the risk of depression that comes with all kinds of common prescription drugs — many of which are also available over the counter,” Dima Qato, the study’s lead author and an assistant professor of pharmacy systems, outcomes and policy at the University of Illinois Chicago College of Pharmacy, said in a statement. “Many may be surprised to learn that their medications, despite having nothing to do with mood or anxiety or any other condition normally associated with depression, can increase their risk of experiencing depressive symptoms, and may lead to a depression diagnosis,” she added. Despite this new information, it does not mean the medications cause depression or suicide, only that there is an association between taking the meds and the symptoms. Of the 200 medications studied, antidepressants were included which some have already been known to include these side effects. Beta Blockers and interferon drugs were also known to have depression side effects as well. Doctors and medical professionals now armed with this knowledge should move forward carefully examining the medications consumed on a daily basis by their patient. Consumers are warned that if they feel their mood has persistently worsened while taking one or more of their medications, they should discontinue its use and discuss it with their physician. It is important for doctors and their patients to discover when the first signs of depression or suicidal thoughts began, either before or after starting the meds or if the association with depression is in the medications side effects to begin with at all.